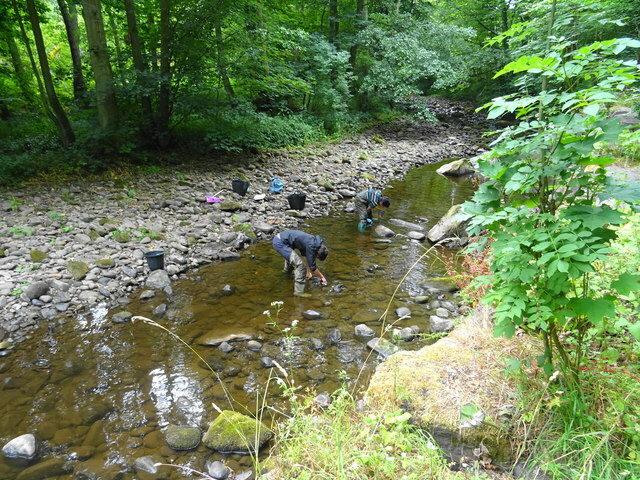 A couple of Durham University students carrying out an ecological study of a site on Deepdale Beck. Having carried out an electo-fishing sweep to count the trout and bullheads they are hunting under rocks for crayfish. The results will be compared with previous surveys. Water levels are particularly low after a couple of dry months.